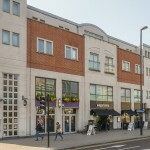 Slug & Lettuce in Croydon has a cocktail bar. The pub has disabled facilities, it is a family friendly pub. Slug & Lettuce serves food. The pub has a function room that can be booked, it has free WiFi. 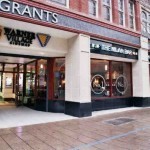 Slug & Lettuce has live music events. Orchard in Addiscombe has accommodation. The pub has a car park, it has an outside area. Orchard has a smoking area. The pub has free WiFi, it has a dart board. Orchard has a pool table. 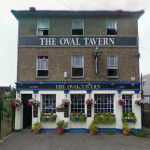 The pub shows football on TV, it has Sky Sports. Orchard has terrestrial TV. The Posh Pub Company! Huge variety of quality food and drink at great value prices! Units 17-21 George Street-Croydon CR0 1LA London. 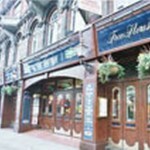 Croydon's foremost venue and best kept secret. Glamorgan in Addiscombe has an outside area. Milan Bar - Lloyds No 1 in Croydon has disabled facilities. The pub is a family friendly pub, it serves food. Milan Bar - Lloyds No 1 serves real ale. The pub has free WiFi, it is a member of Cask Marque. Spread Eagle in Croydon serves food. The pub has a function room that can be booked, it has live music events. Spread Eagle has a big screen. The pub shows football on TV, it shows rugby on TV. Spread Eagle has Sky Sports. The pub has terrestrial TV.